Are all your Christmas plans in place? I used to be a big planner. Now I plan about an hour ahead. Sometimes I just wing it as I go along. Who is this person I’ve become? But who needs gifts and decorations and yummy food when there’s a towering stack of Christmas books to be read? I’ve been collecting for years, and now I’m not certain if my shelves can hold one more Christmas book—but I’m willing to risk it! 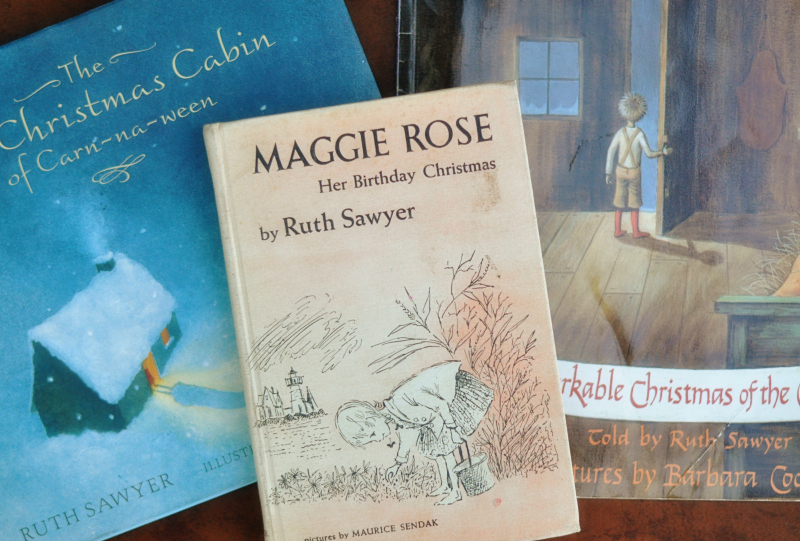 Have you added any Christmas books to your collection this year? Next up, Christmas gift ideas! Christmas from Heaven (about the Berlin Candy Bomber) and A Christmas Wish (with beautiful photographs of a Norwegian girl among wildlife like polar bears and dear. Oh my golly is that precious! I did buy a bargain book called The Christmas Mouse by Toby Forward which is similar to A Christmas Carol in storyline. I have a weakness for Christmas books too- but I just can't stop! Looking forward to checking your suggestions out! ohh- I just read that you wrote about Christmas Wish...I get so excited about your book posts that I quickly started to comment before finishing the whole post. THANK YOU! I was just getting ready to search for Christmas read-aloud, you've done my work for me!! I spent Sunday afternoon reading your daily advent posts from last year ( as I finally remembered to order Handel early!) Just placed and order for some of the first weeks books. I'm so excited! Do you like Eve Bunting books? I enjoyed her title, "Night Tree". By the way, I like to wrap up our Christmas books and put them under the tree as soon as we get it decorated. Then the kids get to unwrap one every night at bedtime. It doesn't matter that it is a book they know we already own, they just love getting to unwrap it to see what the story will be that night! I knew something special was happening when a few weeks ago my kids were expressing so much anticipation about the Christmas books we read every year and not one word about presents has been mentioned. I credit you for your influence many years ago to me, giving me the courage to make that our Advent/December emphasis. As my kids get older those traditions are what they are lingering over and treasuring, it only gets sweeter and sweeter.